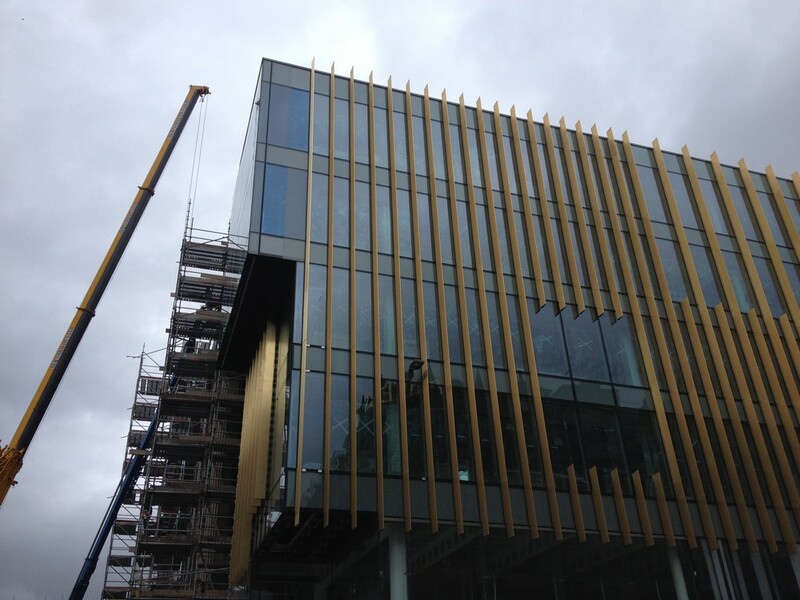 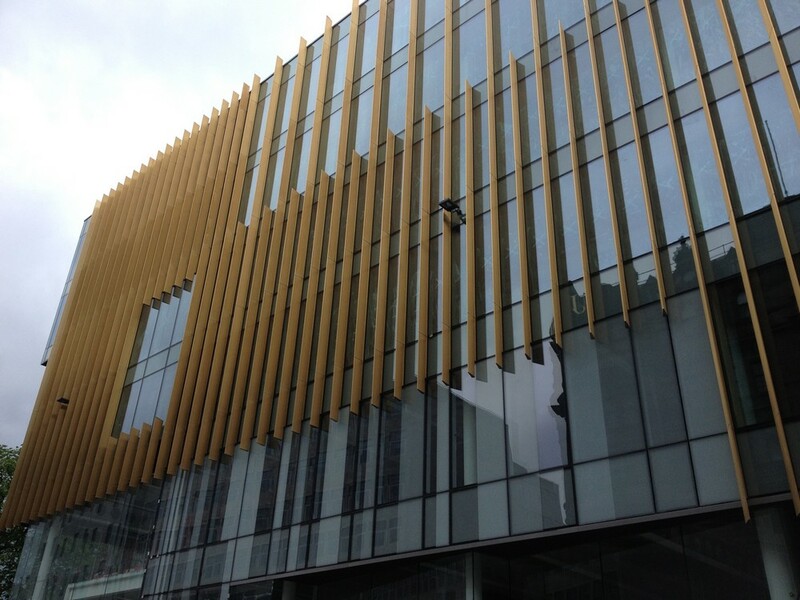 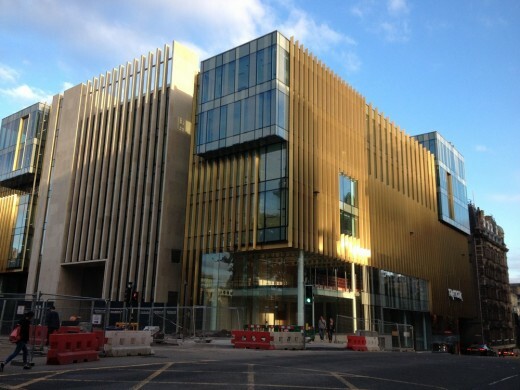 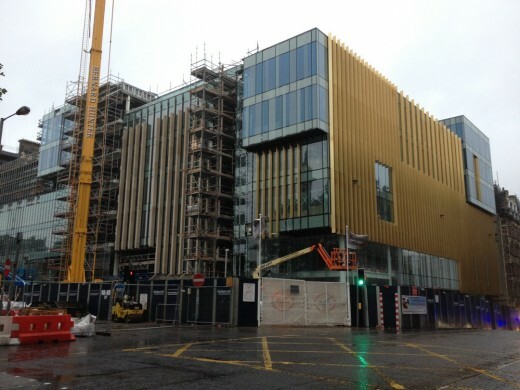 Progress update on this major new building, a bold intervention, the gold fins are quite attractive but the materials and scale don’t appear to work well within the context of the existing buildings. 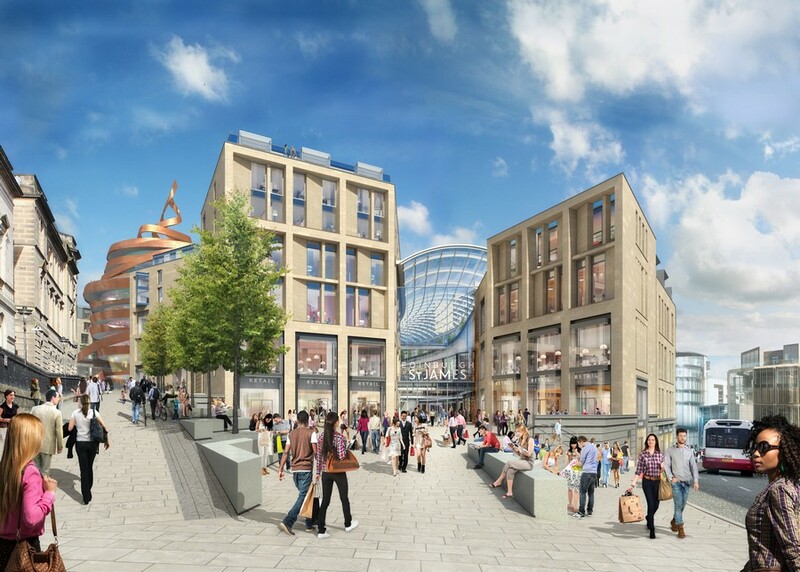 The £75m project will create a 190,000 sq ft mixed-use scheme, which will include 105,000 sq ft of grade A offices and 85,000 sq ft of retail and apartments. 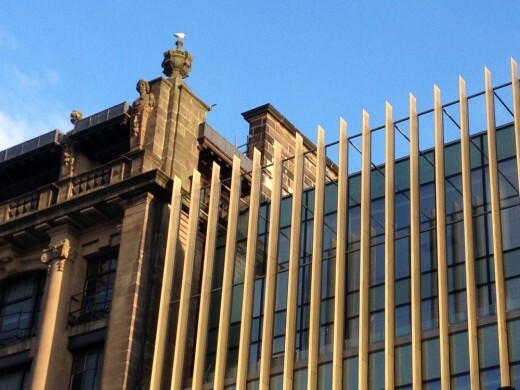 The previous building – Scottish Provident Building, 1961, by sophisticated architects Rowand Anderson Kininmonth & Paul – was more ingenious at introducing modernity into the historic context. 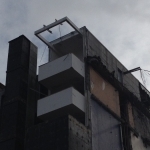 It is too early to properly evaluate this intervention, with scaffolding covering major elements: we will do a full review on completion. Perhaps like say Central St Giles in London this bold intervention will surprise many but over time as we get to know it we will start to admire its vivid facades? 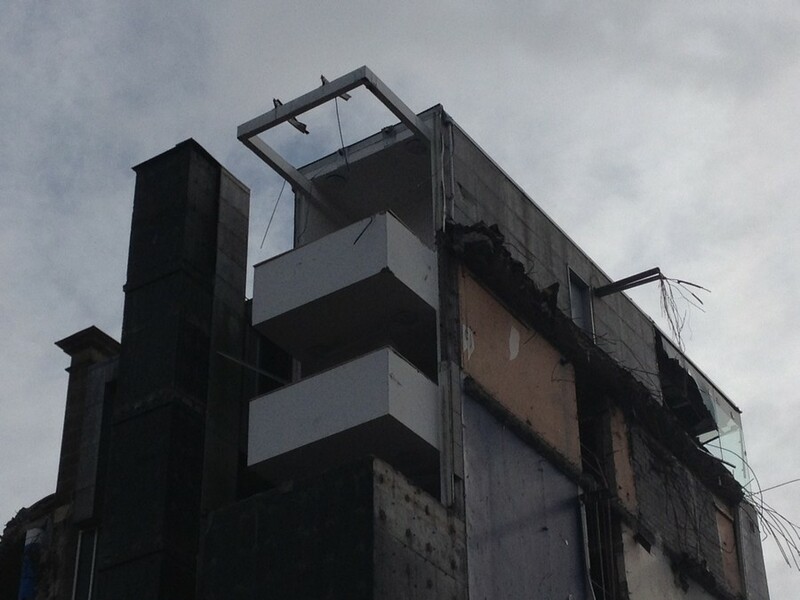 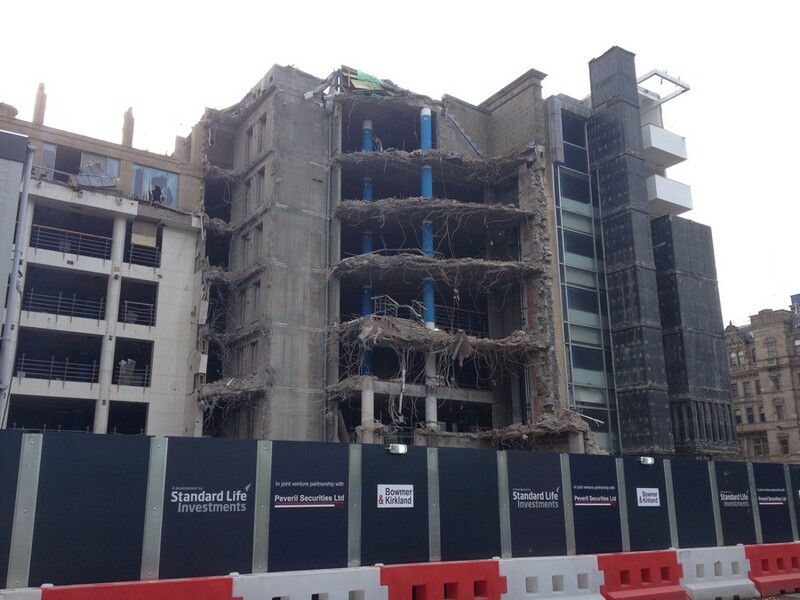 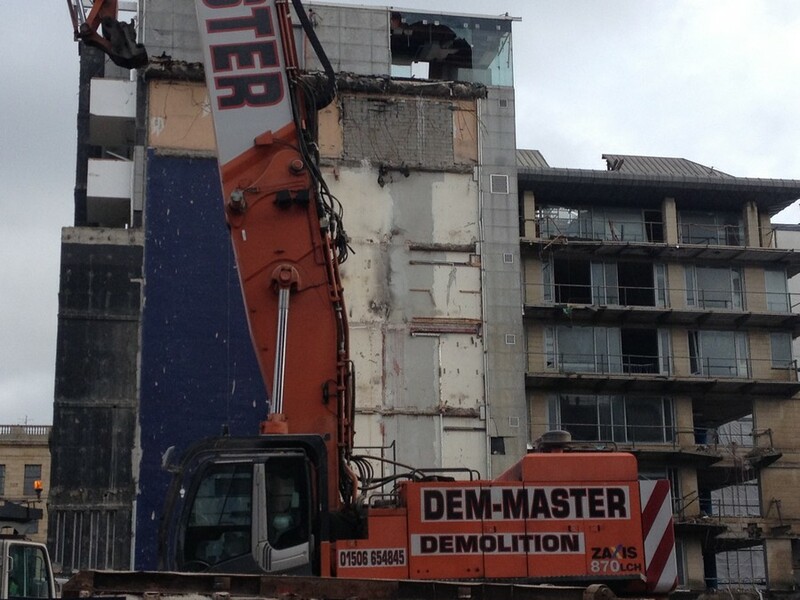 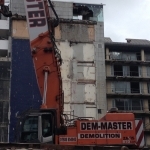 The development includes demolishing part of the B-listed building on the site, which has been vacant for more than five years. 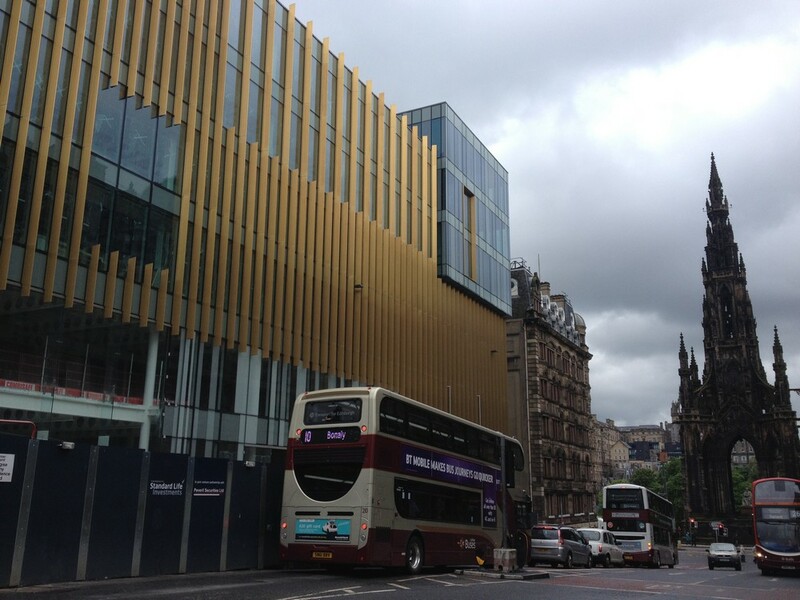 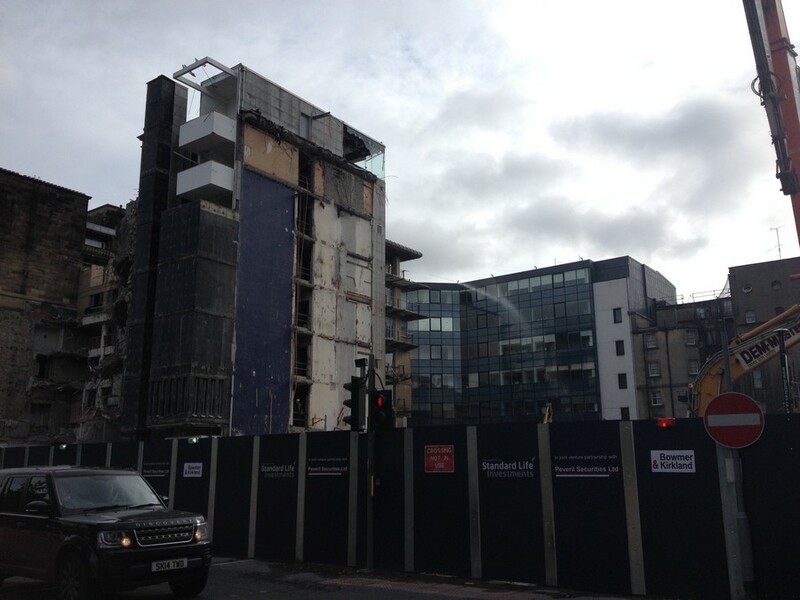 Work is now underway on a £75m speculative office, retail and residential development in Edinburgh city centre. 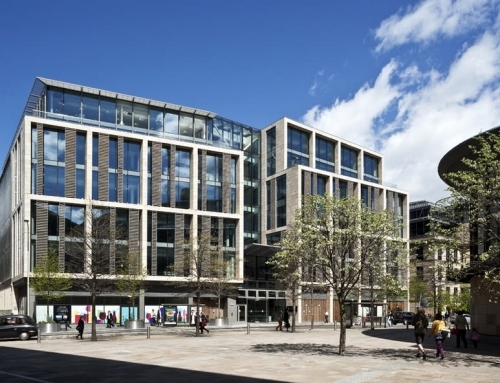 Standard Life Investments Pooled Pension Property Fund and joint venture partner Peveril Securities started work on 3-8 St Andrew Square in Edinburgh. 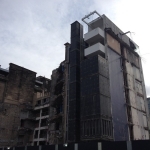 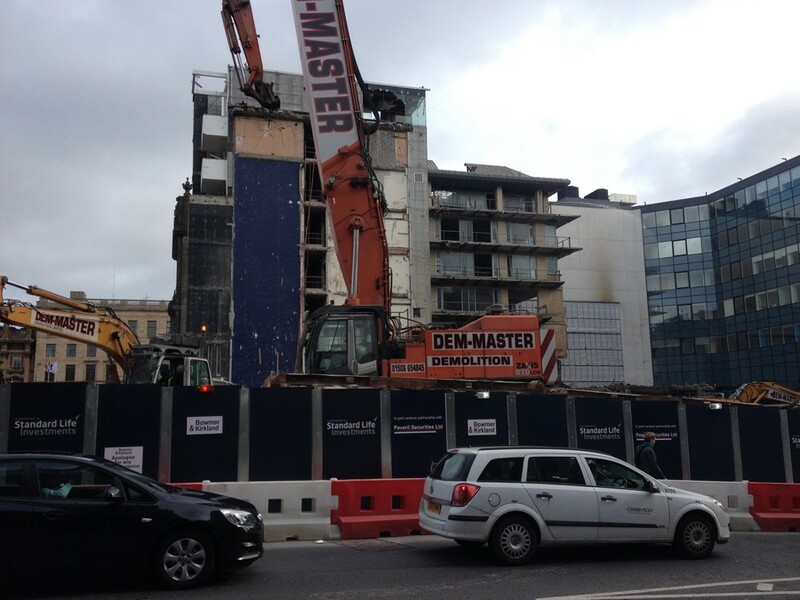 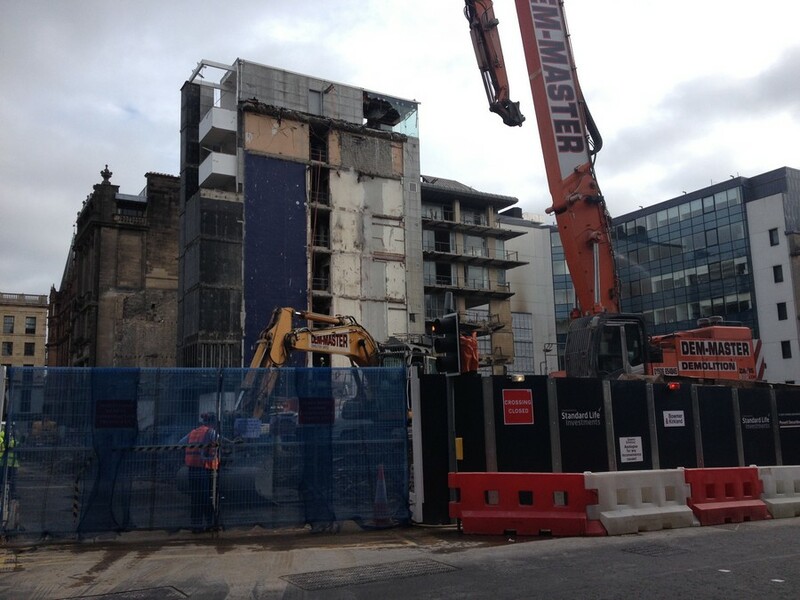 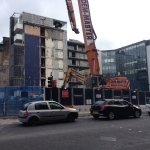 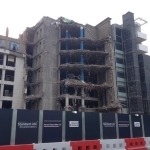 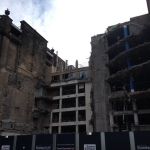 The development of the site in the heart of Edinburgh’s historic New Town will commence with the demolition phase, which is expected to last for six months with overall completion planned for Q4 2016. 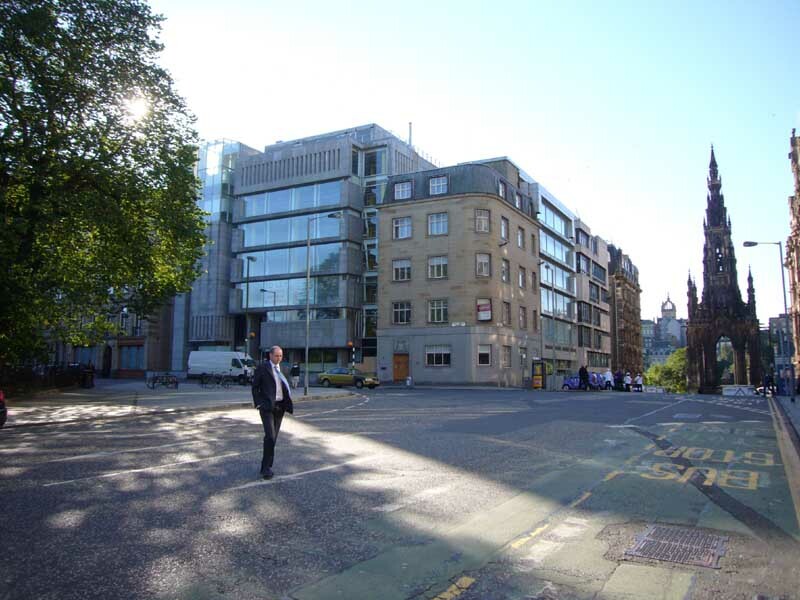 Property consultants, DTZ and Culverwell are to sell major development opportunities in the former Edinburgh HQ of Scottish Provident at 3-8 St Andrew Square. 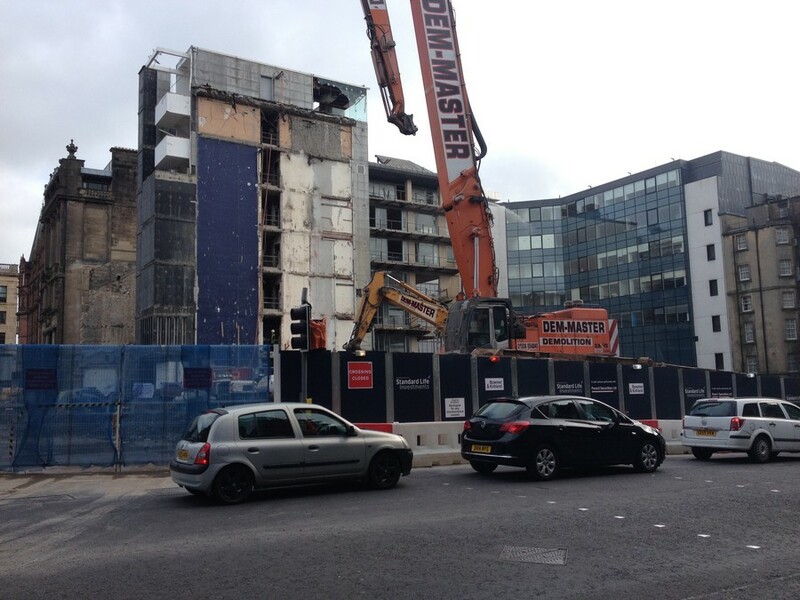 Owned by ING UK, the site has consent for retail units on the bottom three floors, with offices and upmarket residential above. 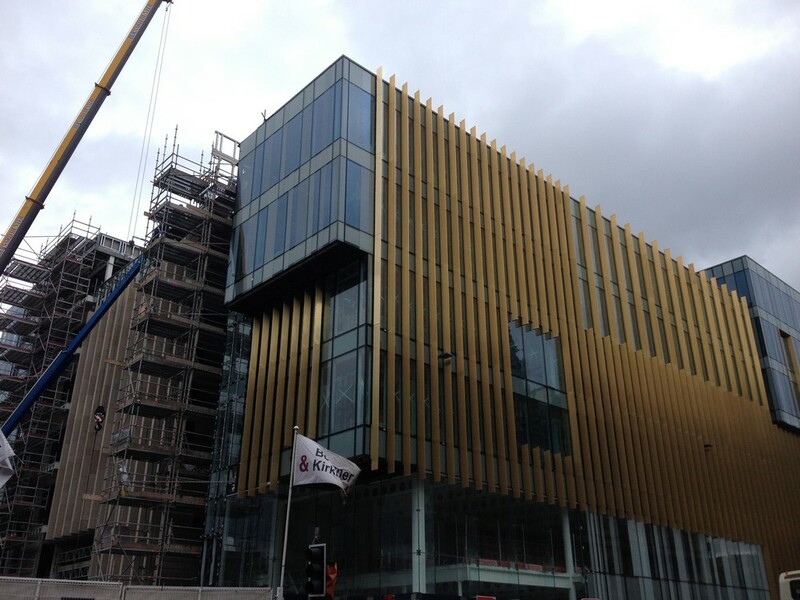 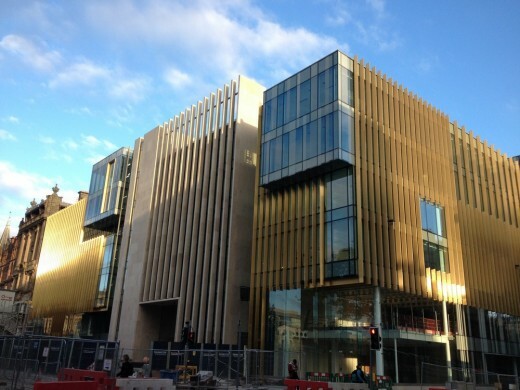 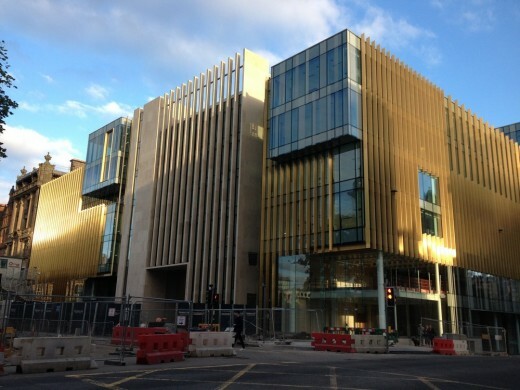 The scheme has been estimated to be worth some £50m on completion. 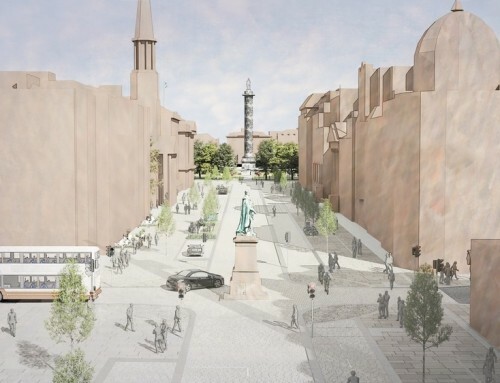 A bold collaborative design from CDA and Gareth Hoskins Architects has won the backing of the City of Edinburgh Council. 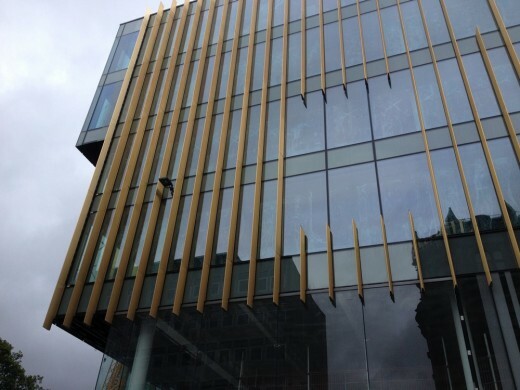 Planning officers recommended approval and the city council members supported the plans by 9 votes to 3. 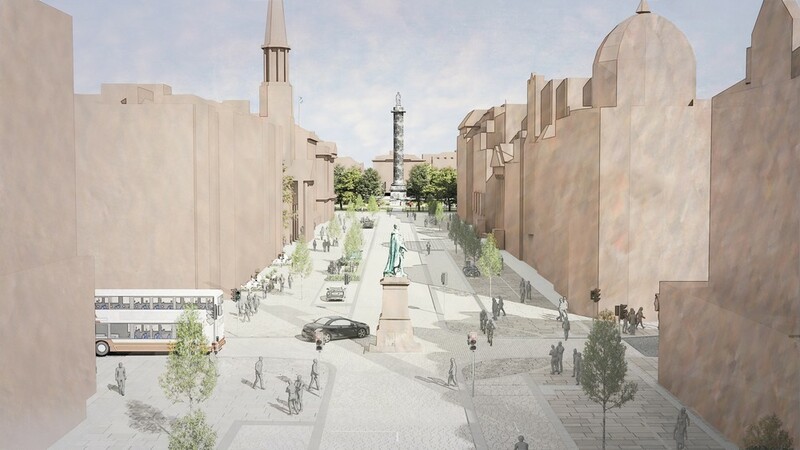 The design for St Andrew Square had received widespread acclaim by key stakeholders. 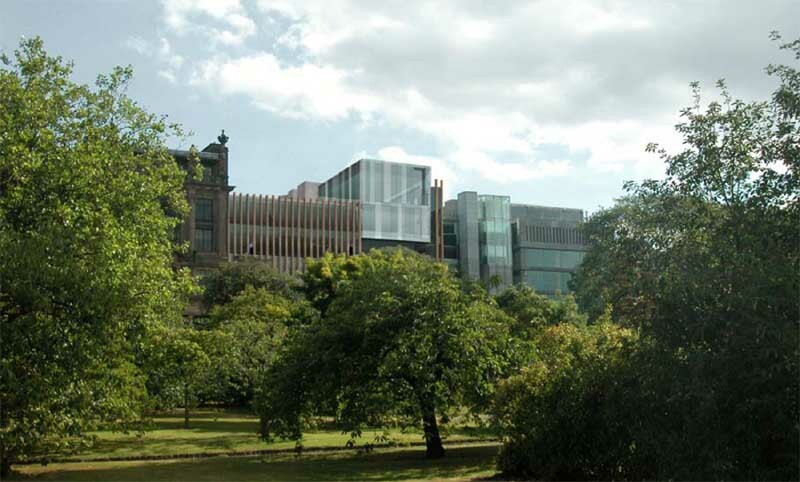 The proposals for 3-8 St Andrew Square, owned by ING (UK) Property, involves redevelopment of the site of the former headquarters building of Scottish Provident. 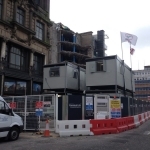 The comprehensive redevelopment of the south side of the square will involve the selective demolition of existing buildings and the creation of a new complex of retailing and offices with a limited number of high value apartments. 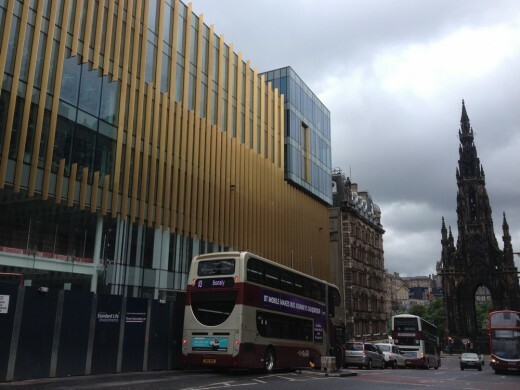 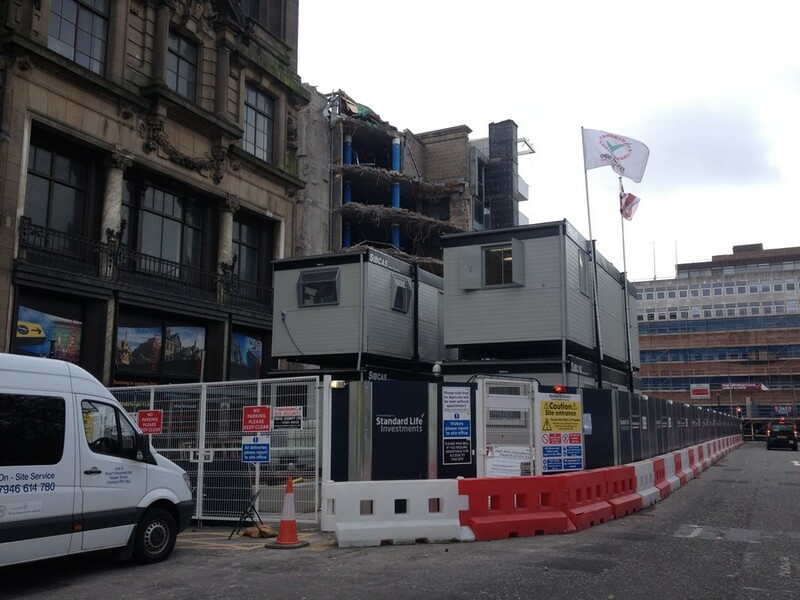 Vital to the regeneration of St Andrew Square is the creation of large double-height shop fronts with larger retail floorplates which are in demand in the city centre. 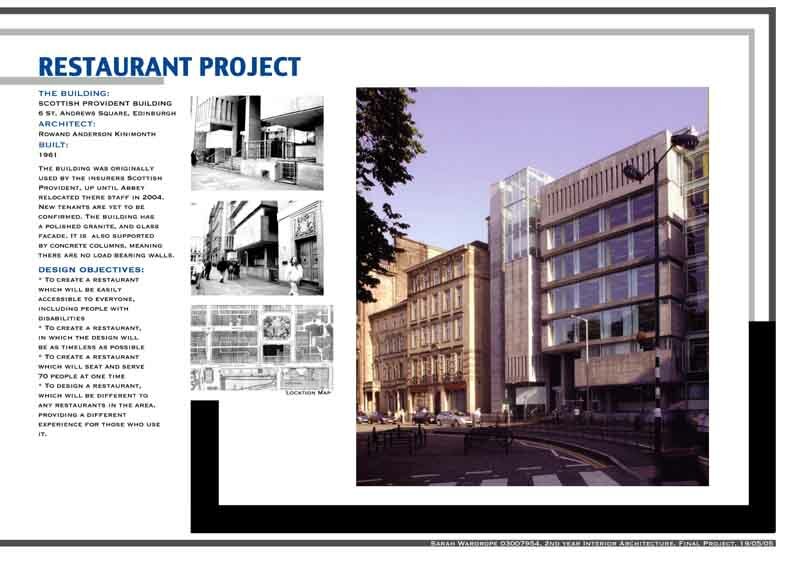 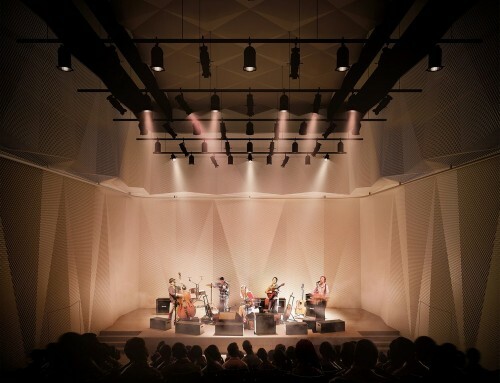 During an extensive consultation process the architecture and design has “received acclaim from stakeholders”. 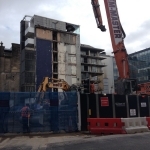 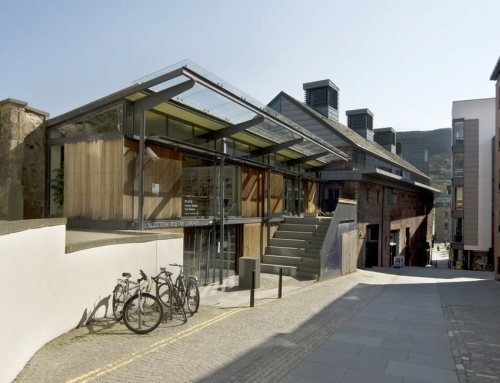 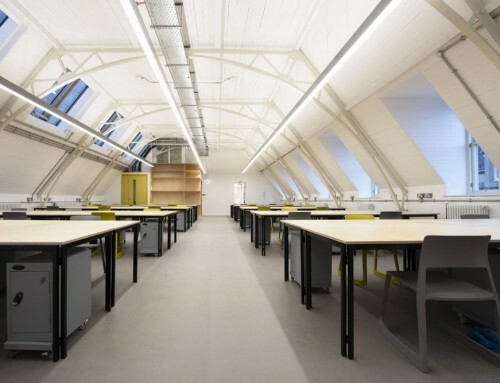 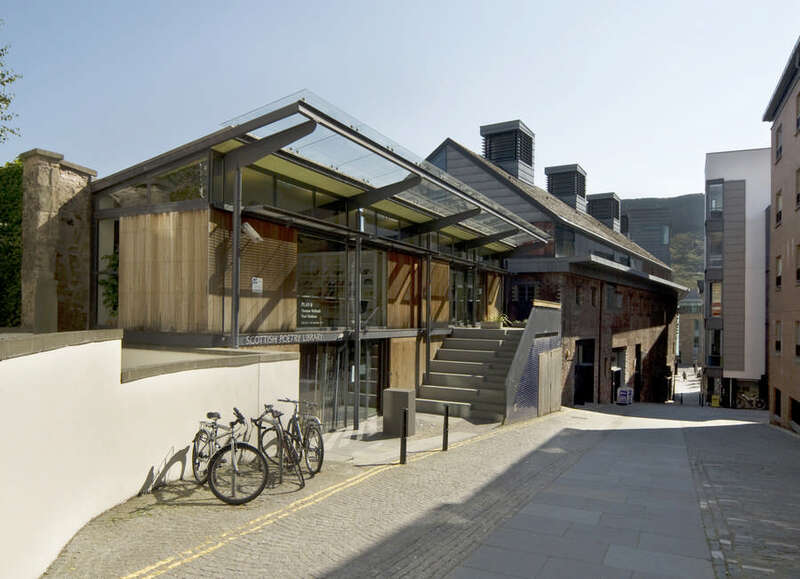 Detailed discussions with the City of Edinburgh Council, Historic Scotland and Architecture + Design Scotland [A+DS] had taken place over the past year in order to ensure a sympathetic redevelopment of the site. 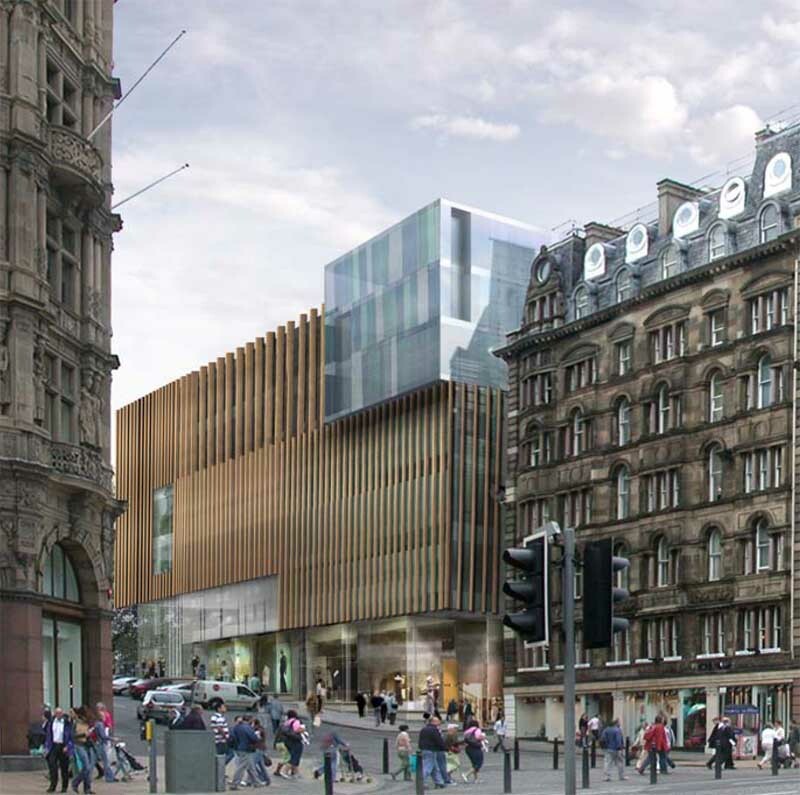 The regeneration of the site will include the retention of the Category A Listed 3&3a St Andrew Square, together with the Category B Listed 6&7 St Andrew Square. 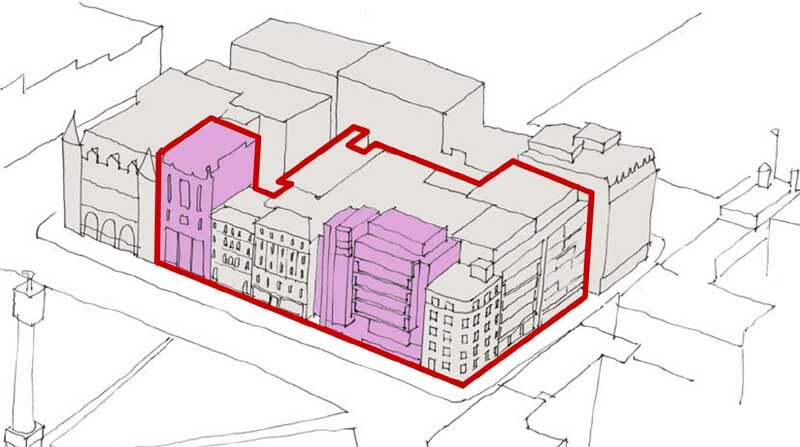 The other buildings on the site are proposed for demolition. 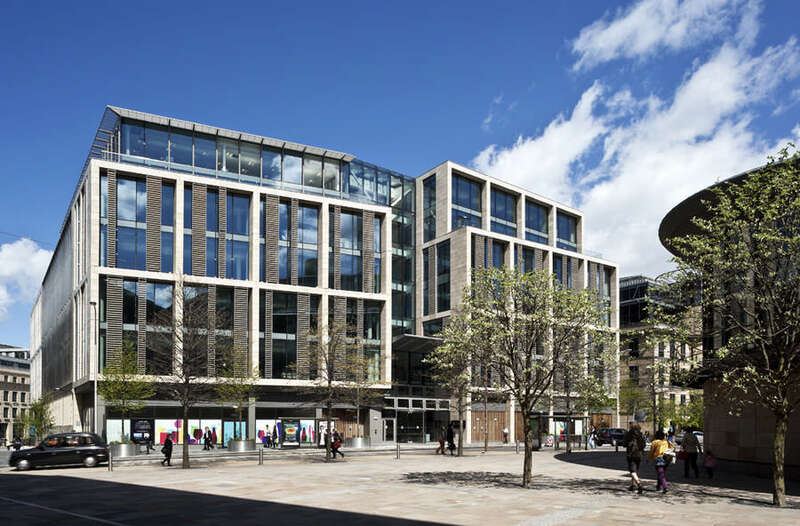 “This will create one of the boldest new developments in Edinburgh and reflect well on the city providing the large retail space so badly needed and address the demand for well located, high quality office accommodation. 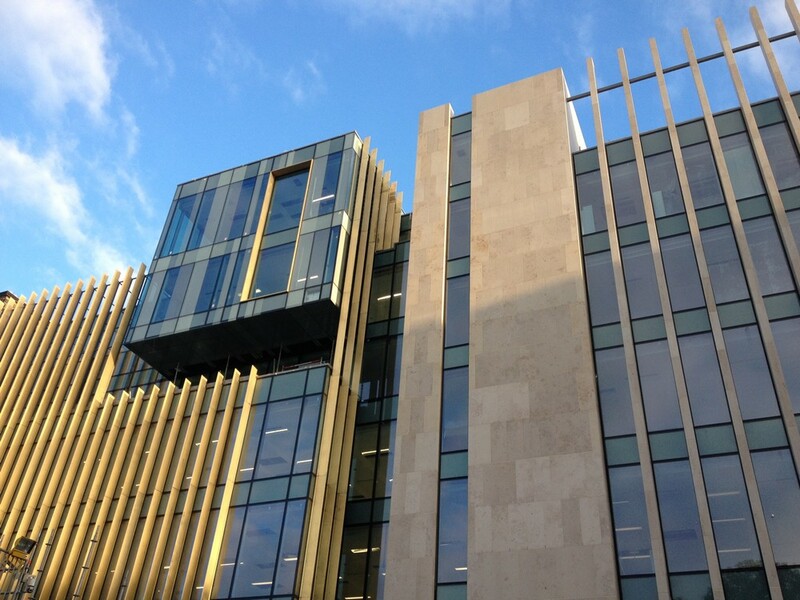 Retail units of upto 70,000 sq ft will be provided at St Andrew Square. 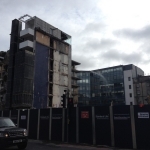 It is anticipated that construction work on the new buildings could be complete by 2010. 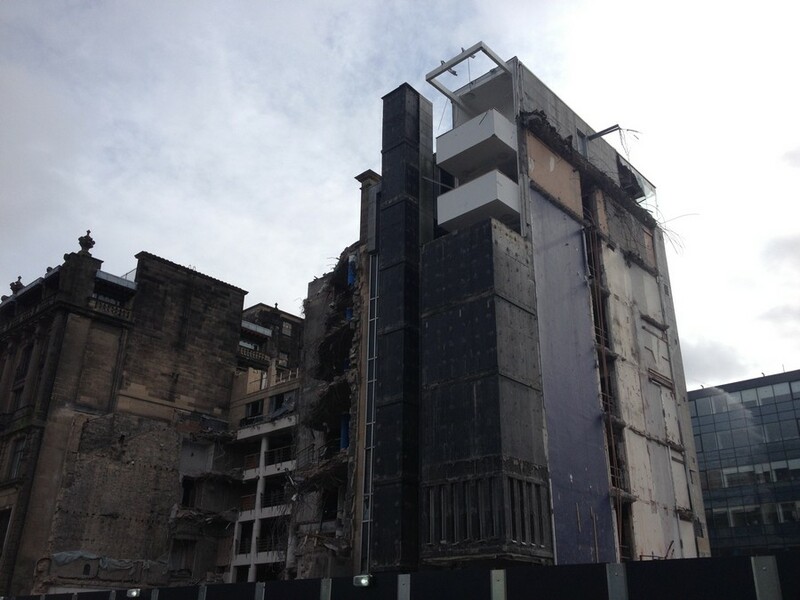 Well done to all involved, after threats from very powerful people in Edinburgh to demolish this Modern classic this scheme cuts a sensible line between conservation and innovation. 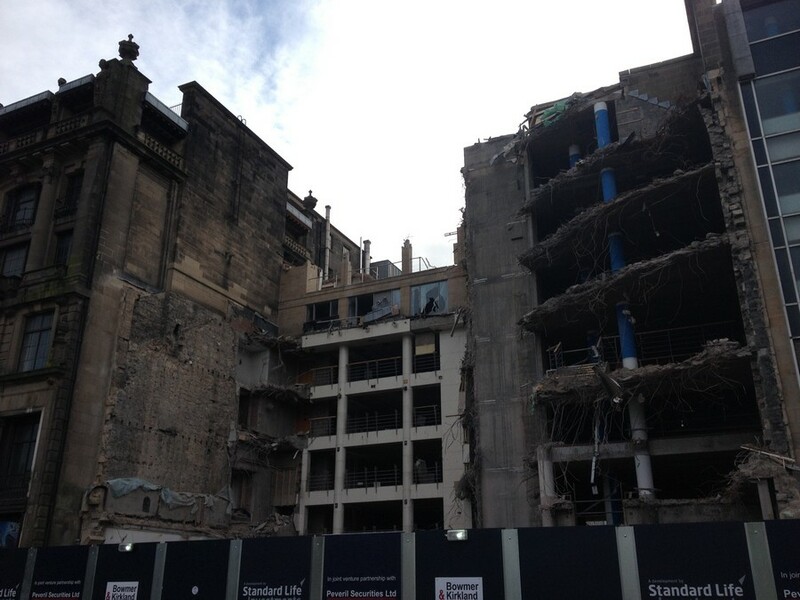 Some not-so-great stone facades will go but Edinburgh has to live, to be a bold European capital and seek quality. 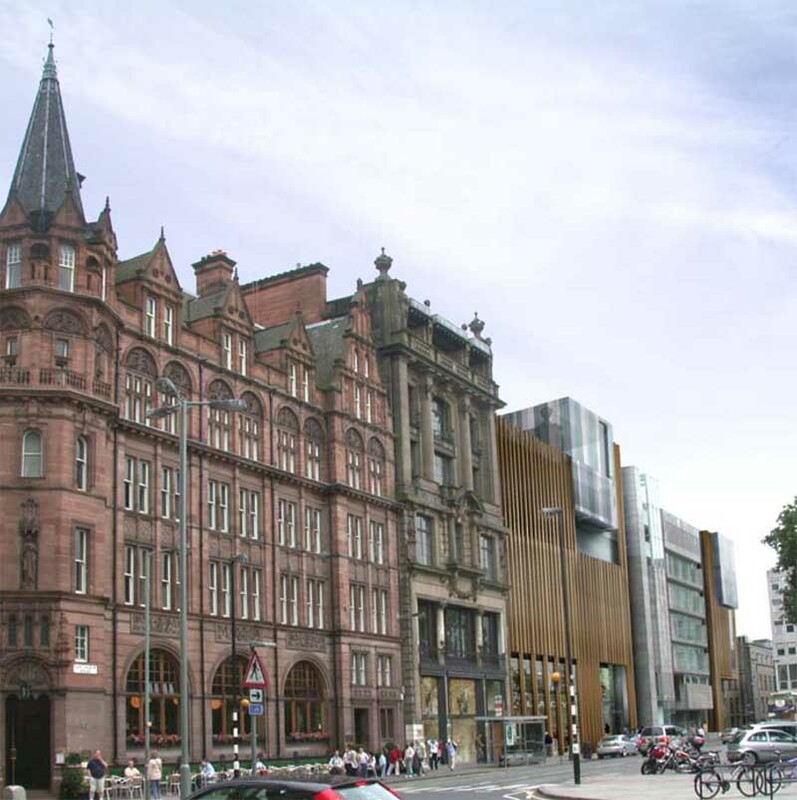 This is a victory for common sense that works with the market and with the heritage lobby rather than engage with polar opposites. 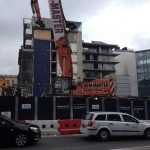 ING Real Estate is an international real estate company active in investment management, development and finance. 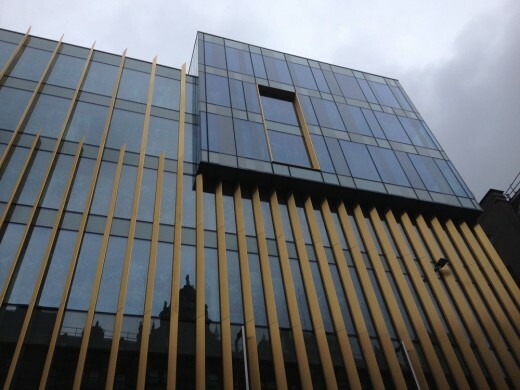 With a total business portfolio of EUR 91 billion and offices in 21 countries in Europe, North America, Asia and Australia, ING Real Estate ranks among the world’s strongest real estate companies. ING Real Estate is part of ING Group, a global financial institution of Dutch origin offering banking, insurance and asset management to over 60 million private, corporate and institutional clients in more than 50 countries.